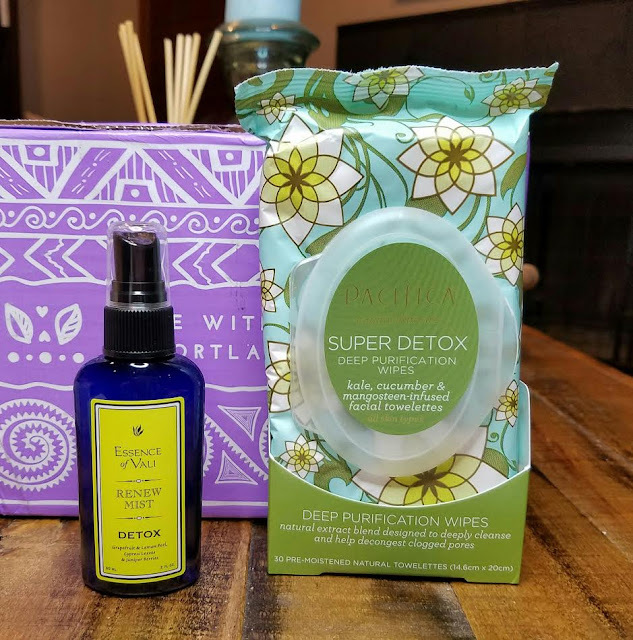 Essence of Vali Detox Renew Mist- Spray me a river! I love things that smell good and this mist smells wonderful! It has grapefruit, lemon, cypress and juniper essential oils. Do you know how happy I am this doesn't have lavender in it!? SO happy! 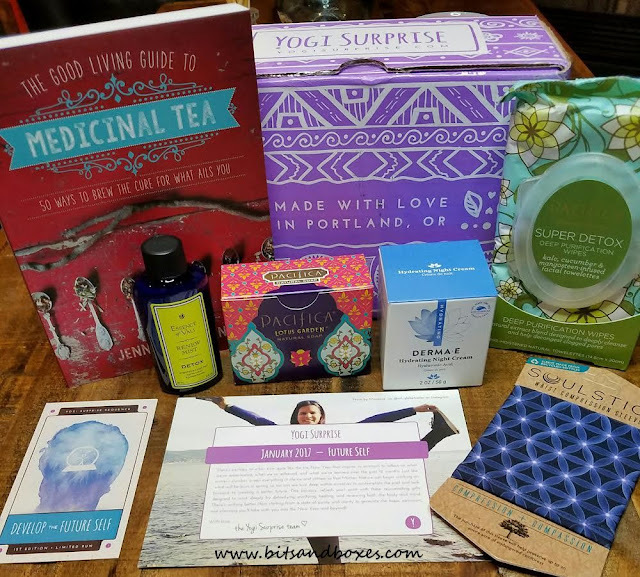 Lavender is over-rated and there are so many other, better smelling oils available. This spritz is living on my night stand and I use it on my linens. It's amazing. Pacifica Super Detox Deep Purification Wipes- Made with green kale, cucumber and mangosteen, these are cleansing wipes to be used after removing make up. If you've got oily skin, you'll probably love these. They do have alcohol in them but also glycerin and aloe. While I may not use these on my face, I will happily use them on my neck and decolletage. 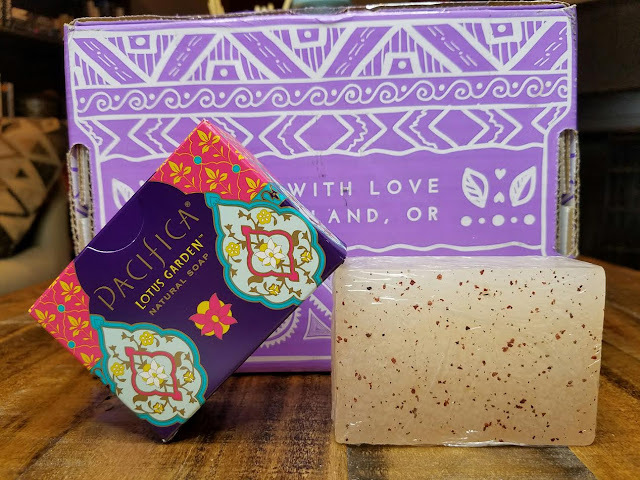 Pacifica Lotus Garden Natural Soap- While I usually prefer to see a variety of brands, this soap smells SO good, I don't care. It's made with a blend of sparkling yuzu, lotus blossom, jasmine, olibanum and bright, radiant green notes. It smells so good I don't want to leave the shower. Plus it has little nubblies in it that are good for exfoliating. It's a HUGE chunk of soap, too. The only bad thing is it means it flies of my hands and bounces all over the shower. Hah! 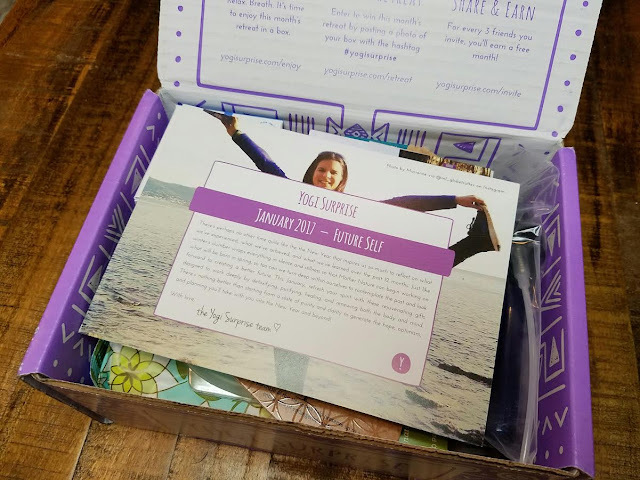 Every box also has a little yoga session card. I should have taken a picture of the back so you could see it. It's a series of five poses. These ones are supposed to ground you during transition. Maybe I should do them. I need all the help I can get right now. 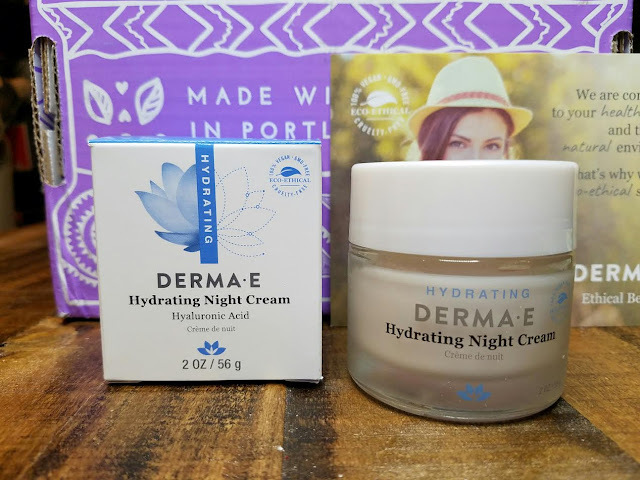 DermaE Hydrating Night Creme with Hyaluronic Acid- If you follow me at all, you probably know I'm a stickler for good ingredients in my moisturizers. I don't have time to slather things that have no known efficacy on my face. This night creme by DermaE passes my test by having sodium hyaluronate (this is the smaller molecule derived from hyaluronic acid-- it can pass your skin barrier), glycerine (a very effective moisturizer), aloe (give me all the anti-inflammatory!) and vitamin E plus some retinyl palmitate. In other words, try it! 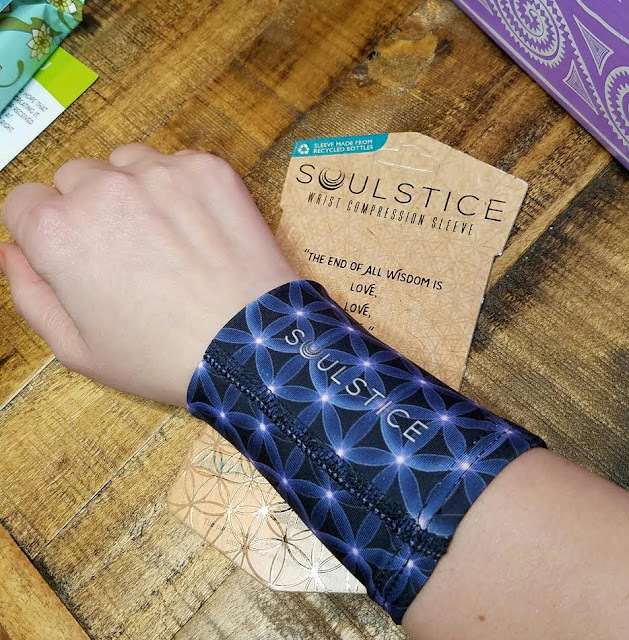 Soulstice Wrist Compression Wrap- Ignore my pasty ghostiness! I love this thing! I haven't heard of wrist compression wraps. This one is so pretty. It's too big (I have tiny wrists) but I think it looks cute even without a purpose. I am curious, now, though. I have carpal tunnel syndrome and I wonder if something like this would help. 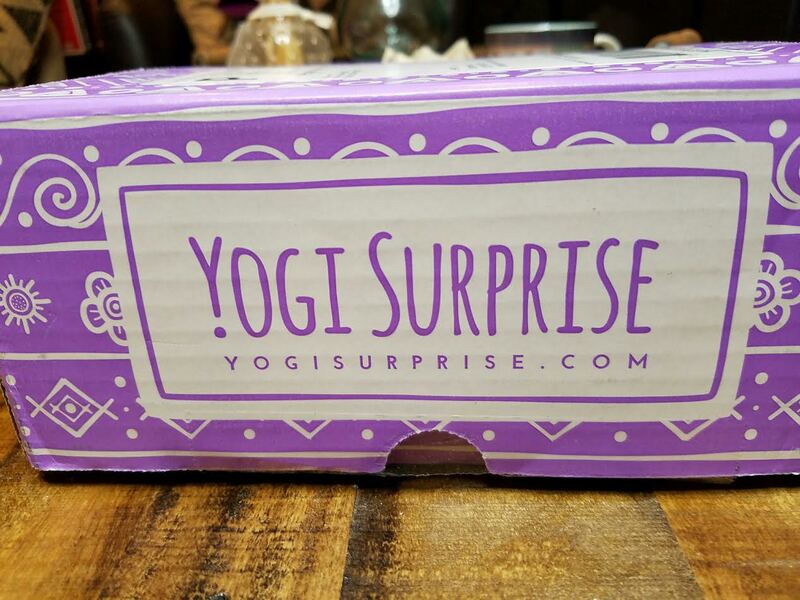 VERDICT: YogiSurprise outdid themselves this month. This box has a whopping value of almost $90 and I do feel it was worth the cost. I'll use everything included, too. In fact, I haven't taken the wristband off since I put it on. I've already started reading the book and the soap is going in the shower asap. There are other yoga focused boxes out there and, sorry Buddhibox, I like this one the best. 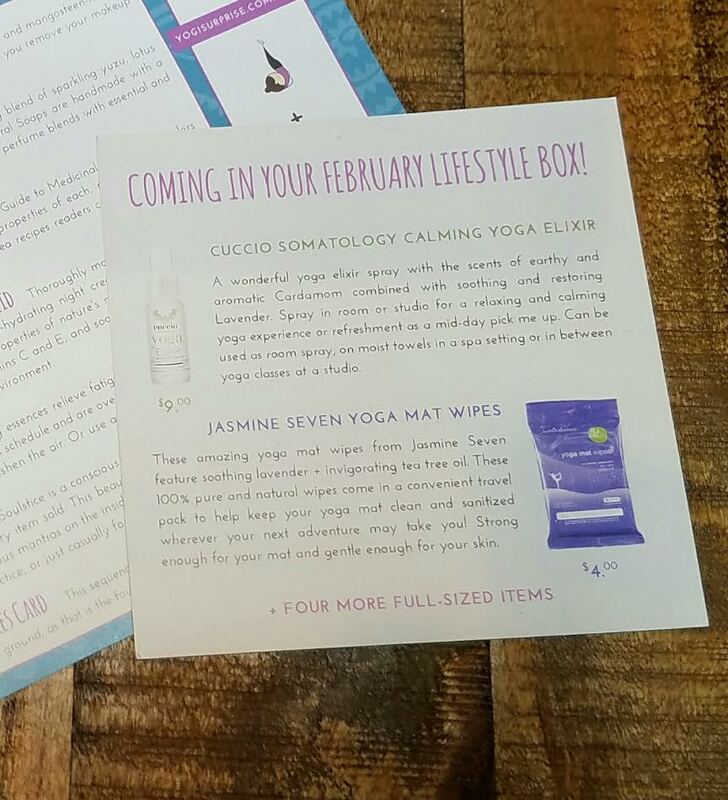 Each box will have a Cuccio Somatology Calming Yoga Elixir and Jasmine Seven Yoga Mat Wipes plus four other full size items. I *love* the Jasmine Seven Peppermint Foot Wipes. 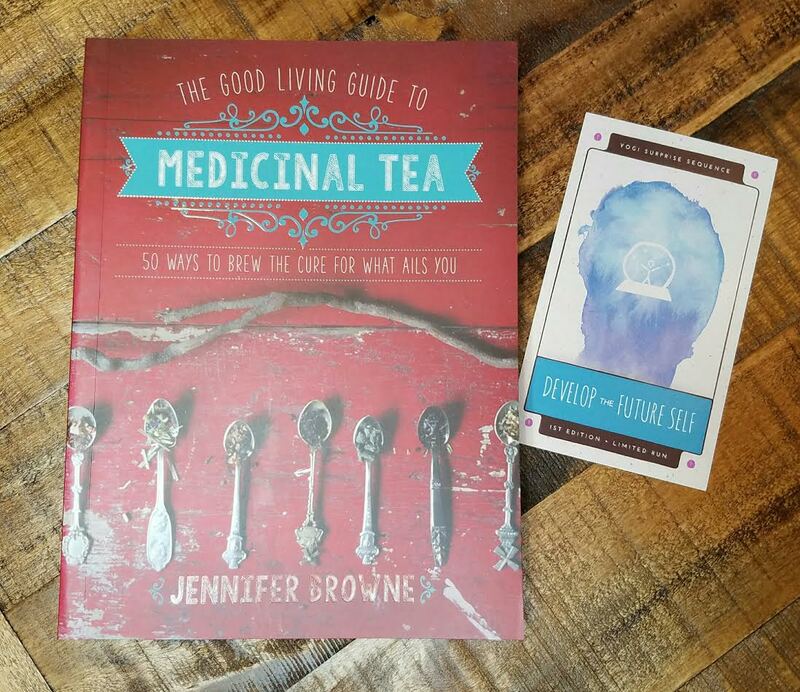 Sadly both these items have lavender in them. Maybe I can skip a month? I should see if they do that.